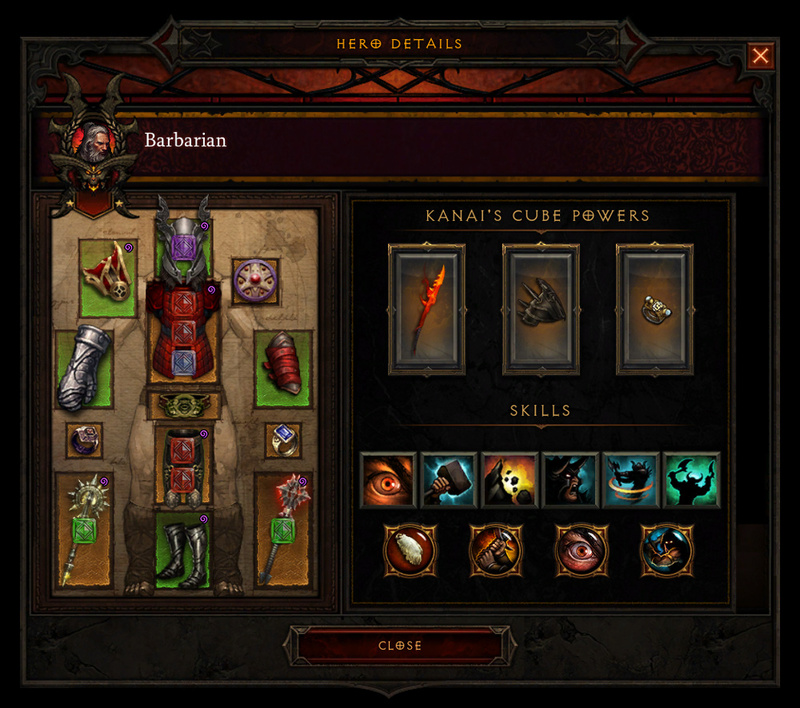 The breadth of build variety in Diablo III is vast, and it can take a lot of time to try them all. Challenge Rifts are a weekly opportunity to try a totally new build, receive a reward for your efforts, and compete with other players on a level playing field! Challenge Rifts are a weekly static version of a previously completed Greater Rift. To create a Challenge Rift, we pull a Greater Rift run directly from a player’s account. Once we have that snapshot, we make that exact character, including their items, paragon levels, skills, and gear available for everyone to play. This also includes an exact copy of the Greater Rift they completed with that character. Enemies, pylons, and the dungeons you encounter will all be exactly as they appeared when the original player completed their run. If you beat the original runner’s time, you’ll be rewarded with a weekly satchel filled with bounty and crafting materials and some Blood Shards. Challenge Rifts will rotate every Monday, so each week you’ll have something totally new to try. What’s the “Challenge” in Challenge Rift? Diablo III is a game that embraces randomization. Environments, monsters, monster affixes, loot . . . these all have an element of randomness at their core. Challenge Rifts offer a break from that mold, putting every player on equal ground. With the same tools—and, with some builds, the same handicaps—it’s a different kind of contest. To truly conquer Challenge Rifts and prove you’re the best of the best, you’ll need to be on top of your game by exhibiting your skills, game mastery, and class knowledge. While there is certainly strategy to pushing as far as you can in Greater Rifts, the strategy to becoming a champion of Challenge Rifts focuses on execution. 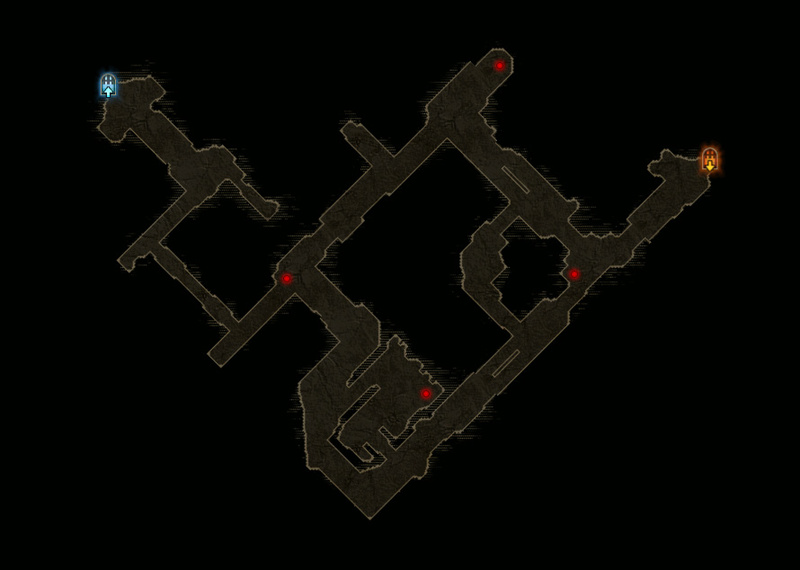 Spending time to get to know the map, spawn locations of enemies, and pylon locations may completely change your approach to improving your time. A floor might be sparse on Elite packs and you find you need to focus on eliminating certain non-elite enemies to push your progress bar—or perhaps an Elite pack is worth skipping because it’s too far out of the way. It might even be worth putting together a little plan! Builds are selected from live players, so you might get something totally different than the builds you’re used to seeing on fansites or your favorite streamer’s channel. A build from the start of a Season might be a mix of the first Legendaries someone happened to find, and you may need to capitalize on the effects of items or abilities you’re not used to using. Regardless of how the build came together, it’s the same set of tools every player in the Challenge Rift will be using—this puts every player on a level playing field, so you’ll play alongside the best in the world no matter your experience! The choice is yours in how you approach, and when you’re pushing the limit amongst friends and other community members, there’s nothing more satisfying than eking out your buddy’s best score by a handful of seconds. On a personal note, the moment I saw Challenge Rifts, I knew I was going to fall in love with them. To me, Challenge Rifts are the game design answer to what I wanted to explore with the original Play Your Way series. Build diversity doesn’t have to mean min/maxing. One of my favorite memories from a past season was watching a friend of mine giggle maniacally as he decimated enemies with the chain spawned by his Maximus. He decided that’s what he was going to build around, and it was silly, fun, and still a great memory I hold dear. We come together in Sanctuary to slay monsters and collect loot. While Challenge Rifts are more focused on the former, it’s a great way to explore so much more of what the game offers when we take off our optimization blinders. What do you think of Challenge Rifts? Are you looking forward to climbing the leaderboards? What’s your strategy for tackling them? Have you tried them on the Necromancer Beta and knocked a pro off their pedestal? Let us know in the comments and stay tuned; we’ve got more Patch 2.6.0 information on the way! I thought beating people on the leader boards was a good enough challenge. I didn't think I would, but I like the Challange rifts a lot. Anyone playing Season 13 btw? Hey @NickSi! Yes, a good number of us are playing Season 13! Add me to Battle.net: Yoshimcleet#1829. Also, if you see a thread that is over 3 months old, please don't reply to it. Start up a new thread and we'll continue the conversation from there. Thanks!